I've never been a fan of summer. Generally I prefer fall and winter. Colder temperatures mean less humidity which means me being far less cranky, and our home being much more suitable towards cooking the things I like to cook. This means running the stovetop and oven for hours on end. Today, after a long bout of rain, clouds, and flood water, the sun came out and a strange thing happened. I was happy about it. 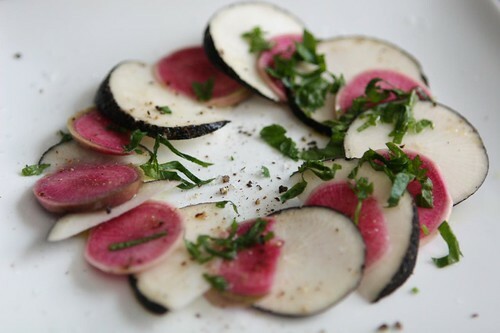 Jen went down to the Union Square farmer's market and picked up these black and watermelon radishes that she sliced up with salt, pepper, and olive oil. We enjoyed them with some sliced baguette and butter. Since we won't be getting any more vegetables from the farm we took a drive down to Tarry Market and picked up some heirloom tomatoes to make this salad. 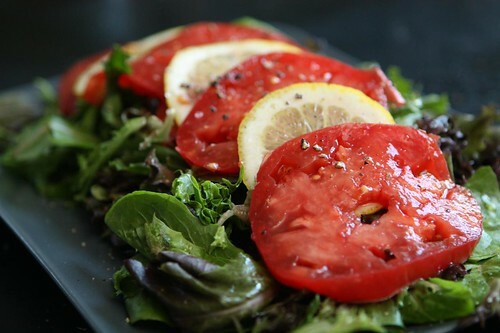 With a little lemon, olive oil, salt, and pepper it was maybe one of our only truly summery salads this year. For the main dish I picked up a couple of branzinos (branzinis? 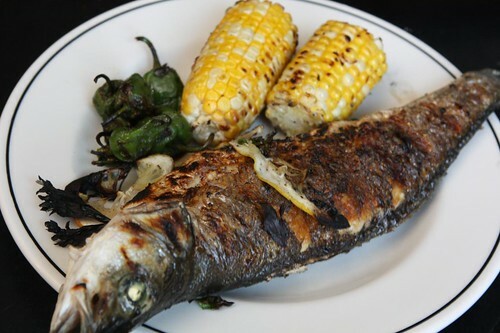 ), stuffed them with lemon and parsley, seasoned them with salt, pepper and olive oil, and grilled them until they were crispy. 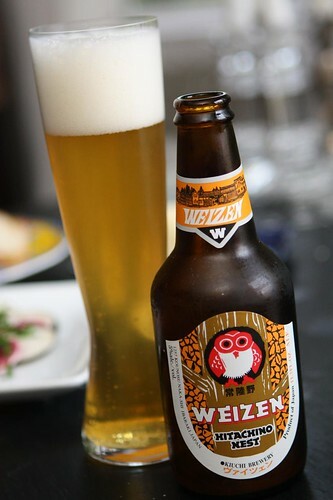 We took a break from Jen's Quebecois beers to focus on this summery weizen from Kiuchi Brewery's Hitachino Nest line of beers. This beer is pretty pricey at about $4.99 a bottle most places but I can't really figure out why. It's very good but I am just not sure what commands such a hefty price tag. That being said, it's about $3.00 less than what you'd pay for a Coors Lite at a baseball game so on that scale it's an amazing bargain. Plus it's got a cartoon owl on the label. I'd pay $4.99 just for a picture of a cartoon owl. Bock and Blue and Chowder Too!